Recently, several of the vendors at the Pepper Place Farmers Market has expanded their operations beyond the confines of their 10×10 foot tents. Thrive Clay Studio recently moved into a space at Pepper Place. Big Spoon Creamery opened its second brick-and-mortar location in Cullman, Alabama. Those are major strides for these audacious upstarts, and that’s just a couple examples of success from the past few months. 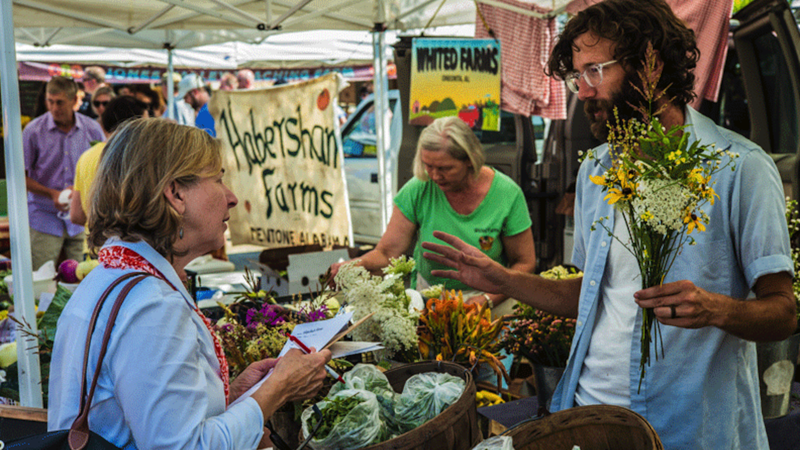 The Market was first organized in 2000 for this very reason: to help farmers and craftspeople to thrive. To understand what this means and how it came about, here is an article from the Federal Reserve Bank of Atlanta’s blog, EconomyMatters, which dives into the ways Pepper Place is helping grow not just Birmingham, but the entire region. Some of the numbers might have changed, but the commitment to the region, its farmers, and its people remain the same.